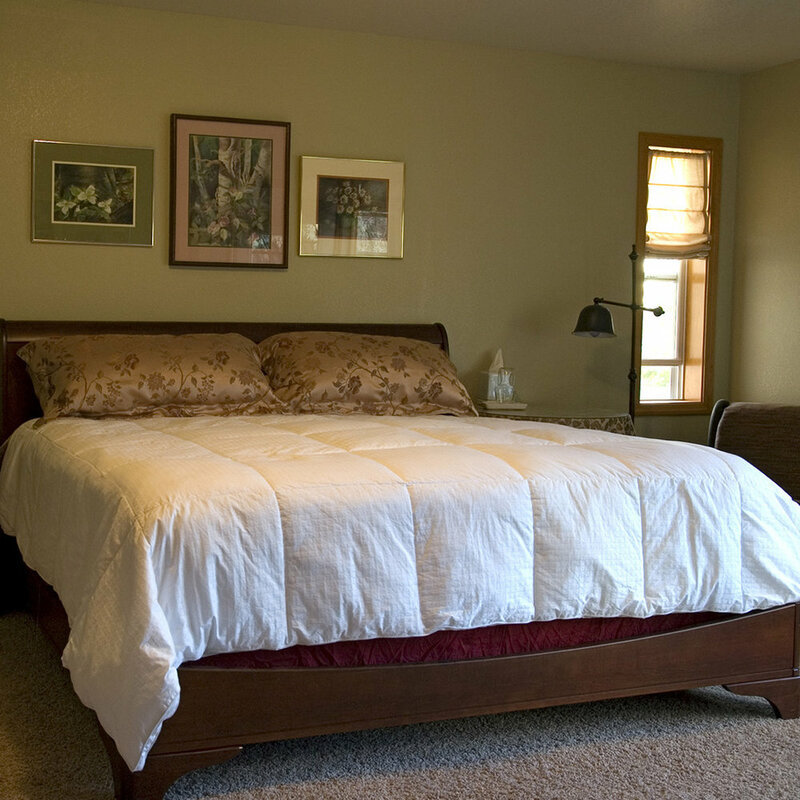 The Russian Olive Bed and Breakfast offers a variety of rooms suitable for friends and families, couples, or the single traveler. Have a question or see something you like? Click on Book Your Stay and send us a message. Will get back to you as soon as we can. Our Master Suite includes a king-size bed, sitting area, satellite television, a private entry, vanity area, and private bath with a jacuzzi tub. Open the windows and you'll hear the creek that winds through the property. 7% bed tax included. Our Garden Room is located on the second floor. Enjoy a king-size bed or two twin beds and a shared bath. 7% bed tax included. Our Bunk Room is located on the second floor. 1 Full-Size Bed and shared bathroom. Sleeps one. 7% bed tax included. Our Private Retreat Suite includes two queen size beds, sitting area, satellite television, private entrance, sleeps 4 adults, handicap accessible, and private bath with shower. 7% bed tax included. The Studio consists of a one-bedroom apartment with kitchenette, private entry, and private 3/4 bath. Bed is full size, with a queen-size blowup bed options. Sleeps up to 4. (with optional bed). 7% bed tax included.